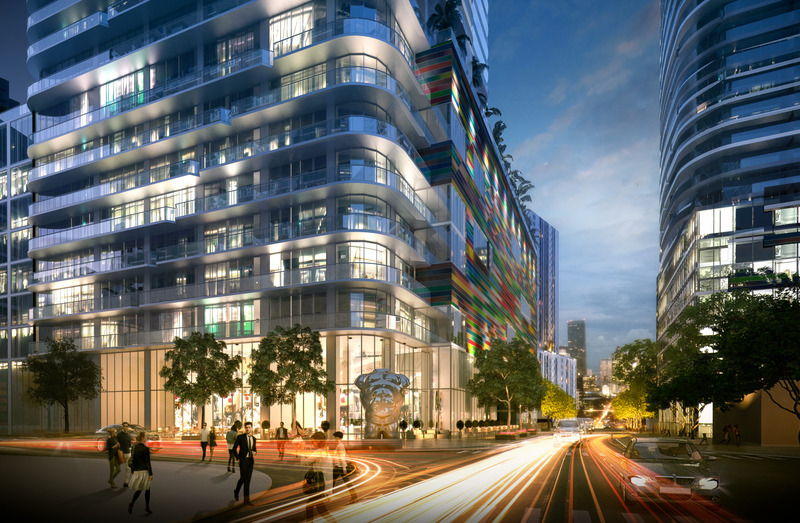 New Luxury Development ready in March 2018. 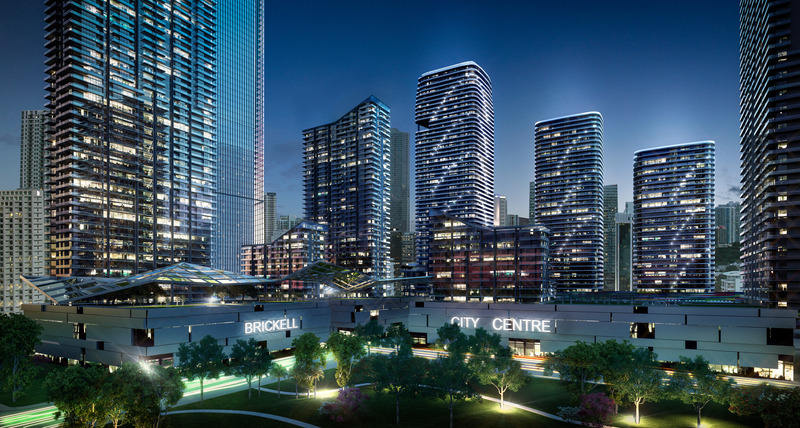 Located in the heart of Brickell, in between upcoming Brickell City Center high end retail and restaurants and Mary Brickell Village shopping center. Museum quality art in all common areas including works of renowned artist like Fernando Botero, Matias Duville, among others and exterior art mural installation by Fabian Burgos. 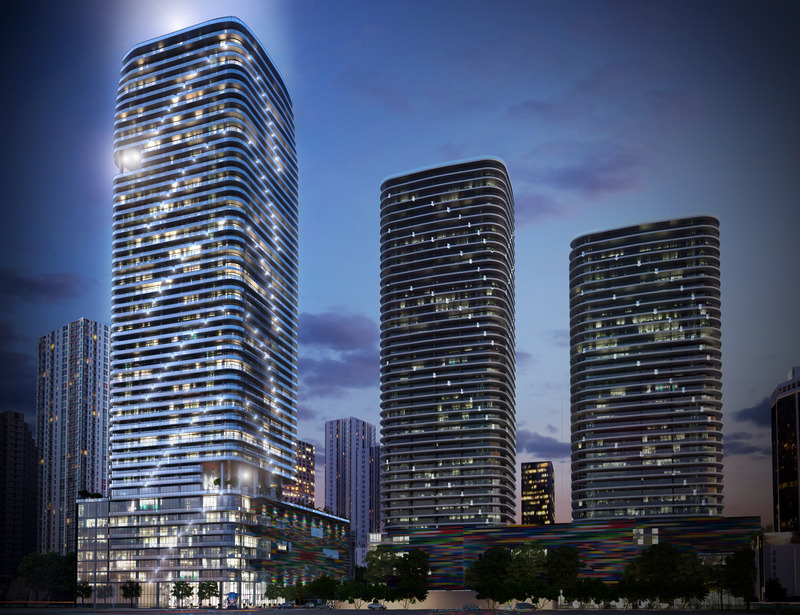 450 luxury condominiums featuring private elevator access and up to 10ft ceiling heights. 84 Designer Suites fully decorated and finished, by Yabu Pushelberg. A limited collection of 12 Penthouse Residences on the top three floors with custom gourmet kitchens, and panoramic skyline, ocean, and bay views. 2 assigned self-parking spaces for most units in secured parking garage, or optional complimentary 24-hour valet parking services. Elegant private elevator with biometrics technology. Private elevator vestibules in all residences. Most residences with 2 assigned self-parking spaces. Residences delivered fully finished with several choices in imported porcelain tile flooring pre-selected by Yabu Pushelberg. Spacious walk-in closets come fully finished in Master Bedrooms. Rain Showers and Spa tubs in all Master Bedrooms. 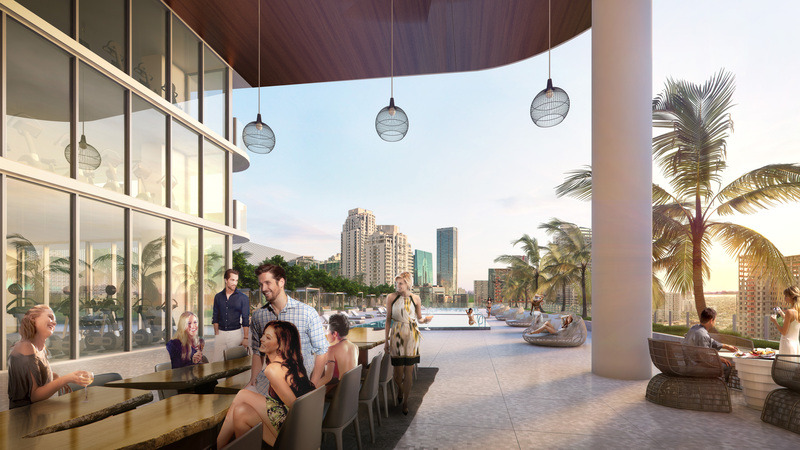 Spacious terraces, with glass and aluminum railings directly accessible from living areas and bedrooms of every residence through floor-to-ceiling sliding glass doors and wrap-around terraces in all corner units. Select units include terrace BBQ grill. 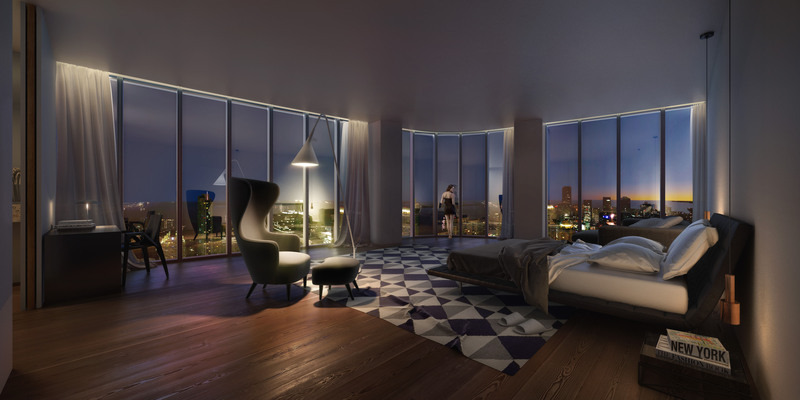 Exclusive collection of 12 PH units with 12ft ceilings and some with private rooftop pools and outdoor spas. Pre-wired for high-speed communications multiple telephone lines and cable. 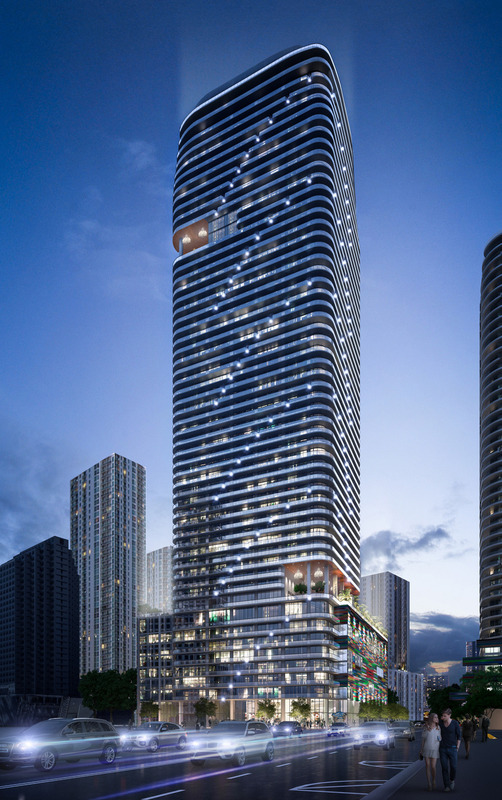 The latest in “Smart Building” technology, featuring wireless control pad, linking residents to SLS Brickell professional concierge services and building amenities. Top of the line stainless steel appliance package includes integrated paneled 36” Subzero refrigerator/freezer, Wolf drawer microwave, Wolf silent dishwasher, Wolf built-in convection oven and ceramic glass stovetop. Stainless steel, under-mount oversized zero radius square edge sink with single lever European-style pullout faucet sprayer. Premium European cabinetry with designer details, imported stone vanity tops and full size mirrors designed by Yabu Pushelberg. Reserve a table for dinner at the restaurant, or order Room Service. Reserve a time for the Tennis Court. …All this and more as your fingertips through the SLS LUX App. Smart Nest thermostat system with automated temperature control. High-efficiency central air conditioning and heating systems. Incredible pool deck terrace at overlooking the Brickell Skyline featuring 75ft lap pool and separate 112 ft. beach entry pool. Pool side cabanas and shaded lounge areas. Pool side bar with TV, live entertainment and al fresco dining. Family BBQ area with summer kitchen. Multi-use Sports Center with combined court for tennis, paddle, volleyball, and soccer. academy court, soccer court. Circuit training with fitness stations scattered throughout amenity deck. SLS LUX state-of-the-art health and wellness fitness center professionally staffed. includes Technogym® Cardio & Weight Training equipment, as well as cardio machines with personal plasma television/music options. Exclusive “Kinesis® Personal” fitness stations create personalized workouts. Free weights, stretching mats, Pilates balls, yoga mats, and headphones are all available for complimentary use. 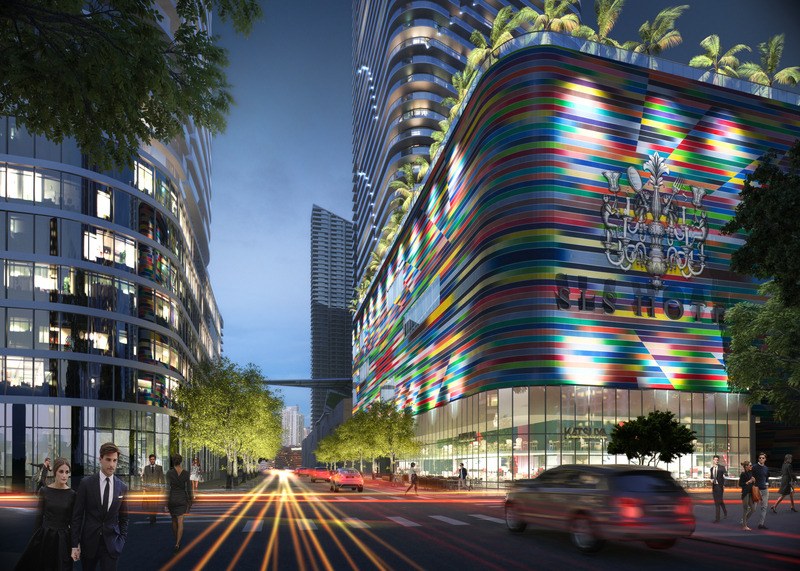 Residents can opt for an exclusive membership option with Equinox Brickell located across the street in upcoming Brickell Heights residences. Ciel Spa at SLS LUX professionally staffed, featuring treatment and massage beds with iPod docks, experience showers and herbal steam room are some of the luxurious conveniences. Specialized massage therapist on demand. Kids play room with kids monitoring services and supervised activity center led by professional staff. Indoor and outdoor play area. Access to wireless printer and fax machine, meeting Rooms, event S\space and catering services. Outdoor lounge space with 2 beautifully designed fire pits overlooking breathtaking views of the Bay and the City skyline for exclusive use of the condominium residents. Two story indoor lounge and recreation area with private wine cellars, Billiards room, and poker table and library. 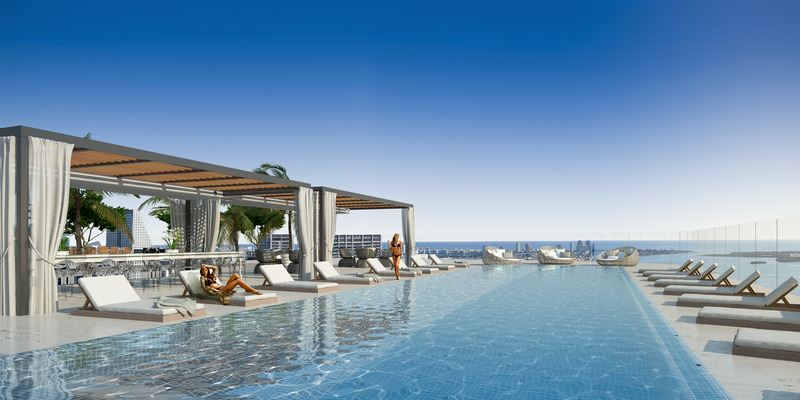 Rooftop Pool and sundeck for building residents, overlooking city skyline with breathtaking views of Biscayne Bay. Wi-Fi throughout the hotel and an iPad in each room. In-room dining services in all residences and hotel units.